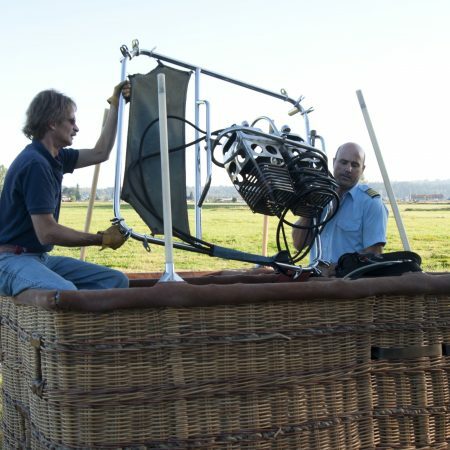 Let us share our passion for flight with you! 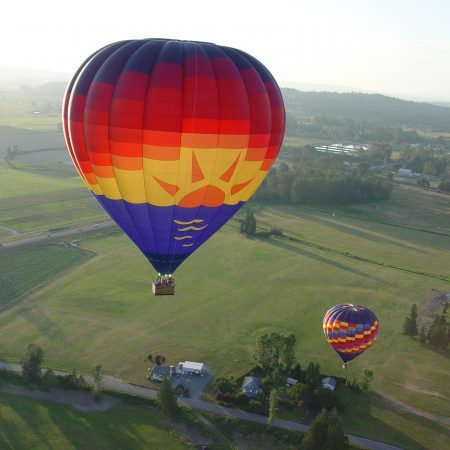 There is nothing like the ascent of a Hot Air Balloon and we are sure you will find the adventure as joyous as we do each time we take to the sky. 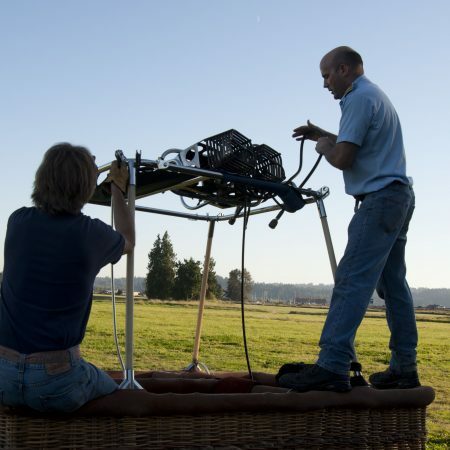 Our guests help us with the inflation, then rise above the earth on a safe, yet exciting and exhilarating flight. The flights start soon after sunrise or just before sunset when the air is at its calmest. 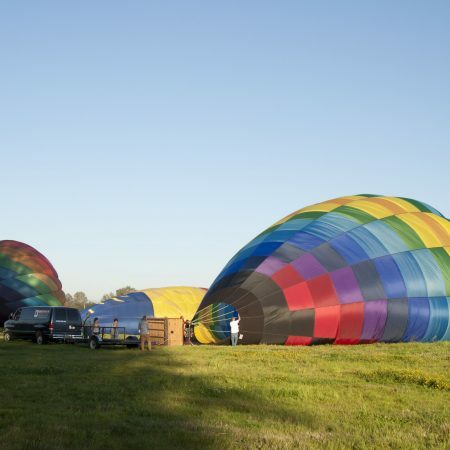 Because the balloons can only drift with the wind once they are launched, we make our ascent upwind of an area known to have a large number of good landing sites. For this reason our launch sites vary depending on the wind direction at flight time. 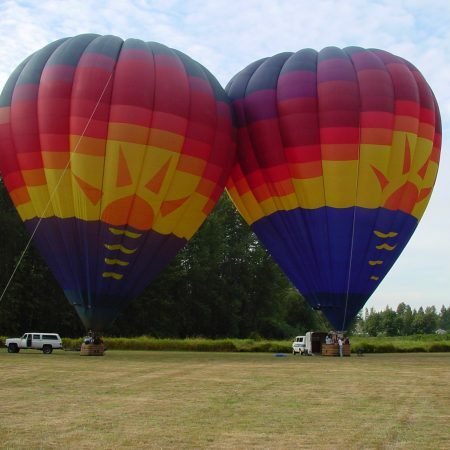 Flights are of course weather permitting. Flights take 3 to 3.5 hours for the whole occasion and we plan on being in the air for around an hour to an hour and a half. Wind speed and direction will dictate the exact length of your flight, so there can’t be any guarantee of exactly an hour’s flight time, but that’s what we aim for. However, if a flight lasts less than 40 minutes, we’ll happily prorate the price. 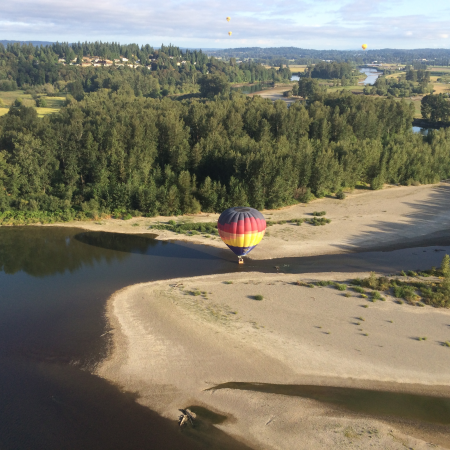 We at the BALLOON DEPOT have been flying in the beautiful valleys of the Puget Sound region since 1978; this long, accident-free experience enables us to provide you with the best possible flight. It is not merely our profession to ensure each flight is a unique experience, it is our passion. We may brush through the treetops, sweep down over a field of wildflowers, skim over a pond, or climb high above the earth to give you a spectacular view. Before you head home, your pilot will autograph a “certificate of ascension” to take with you, a nice memento of your flight. When you get home you can come back to this site and download a group photo of your flight as well, to email to all your friends. Morning flights seven days a week. We have the traditional post-flight toast and a light meal upon landing. If you’re a morning person, the morning flight’s for you. Since there is typically less wind in the mornings than there is in the evening, we might not fly as far on average as we might on an evening flight, but on average, we’re in the air longer. Evening flights seven days a week. These flights include a catered snack tray arrangement along with the toast and celebration, and usually turns into a fine party with your new friends. In summertime, when sunset is around 9 PM, you’ll truly look forward to the meat and cheese trays and made-from-scratch dip as soon as we get back to the meeting site! After Evening Flight Catered Snack Tray Party. Your arrival time for any flight varies with the time of year; we’ll give you that information when you tell us your reservation date. If you don’t want to fly, but want to take part in the rest of the experience, for $21.00/person you can ride along in the chase van, and join in the post-flight party. Just let us know at check-in and you can take care of payment at that time; no prepayment needed.